If doughnuts are what you're after, look no further than this new business. 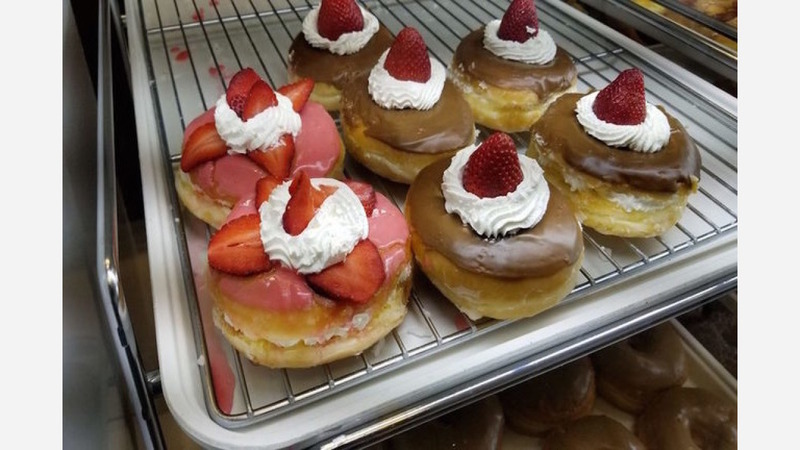 Called Judy's Donuts, the fresh arrival is located at 6733 N. Riverside Dr. in Bullard. Expect a wide assortment of fresh and creative donuts. Tasty offerings include bacon and maple, chocolate chip, and lucky charms. Judy's also serves cream puffs and doughnut holes, as well as a variety of delicious muffins, croissants and other pastries. Not surprisingly, coffee is served. It's still early days for the fledgling business -- it's got just one 5-star review on Yelp so far. Brittany A., who was the first Yelper to review the new spot on April 9th, said: "This place is bomb! The donuts are perfect, and I've gone here multiple times around 3pm when the morning donuts should be stale, but they NEVER are! The service is always outstanding too!" Head on over to check it out: Judy's Donuts is open Monday-Saturday from 4am-9pm, and Sunday from 5am-8pm.